Our friends at the Heritage Foundation have launched a new educational initiative, Makers of American Political Thought, featuring short essays on key figures and ideas in American politics. (There will be an essay in this series from me a ways down the road, about a certain modern president.) The first essay in the series came out last week—Hillsdale’s R.J. Pestritto on Woodrow Wilson: Godfather of Liberalism. 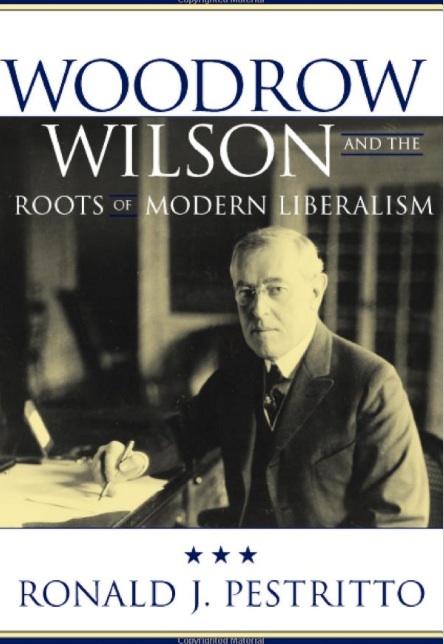 Pestritto is the author of the best study of Wilson’s convoluted political thought, Woodrow Wilson and the Roots of Modern Liberalism, which I heartily recommend to anyone with the time for a serious academic study. (Both Scott Johnson and I were privileged to serve on a book panel about R.J.’s book at an annual meeting of the American Political Science Association when it came out several years ago.) Most of Wilson’s many biographers have been simply unequal to explaining or assessing Wilson’s complicated and dubious political ideology. Pestritto’s book gets at it best, and it was a strong influence on Glenn Beck before Beck entered his full “Beautiful Mind” phase. Progressivism—certainly as expounded by Wilson—understood itself as presenting a rationale for moving beyond the political thinking of the American Founding. A prerequisite for national progress, Wilson believed, was that the Founding be understood in its proper historical context. Its principles, in spite of their timeless claims, were intended to deal with the unique circumstances of that day.